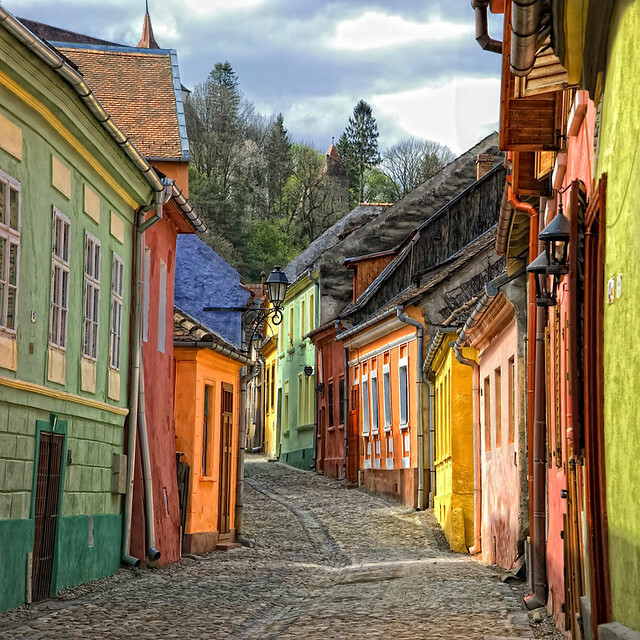 Street of Sighisoara | Flickr - Photo Sharing!  victorgil84 © Madrid, celta4, and 609 other people added this photo to their favorites. incredible colour in this streetscape...love it !!!!! photo for all to see. Have been to this beautiful city twice. Good capture! Un oras de basm. Toate fotografiile reprezentand Sighisoara sunt extraordinare. Deasemeni, Brasovul. Foarte bine surprins. Mi-a facut o deosebita placere galeria ta. Imi doresc sa am ocazia si de acum inainte sa redescopar Romania prin imaginile tale. Such a colourful place. It reminds me of the Lá Candelaria district in Bogotá. Nice capture. Wow, How colorful the street is! CONGRATULATIONS for your EXCELLENT picture!!! Your talented work enriched my FAV GALLERY! !